Everyone wants to get money fast, but there are a lot of scams out there that take advantage of that fact. Obviously, you should investigate any "get rich quick claims" about any plan. 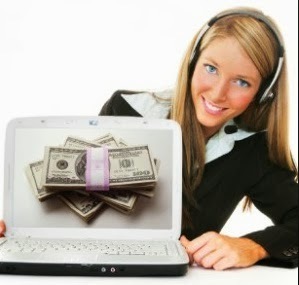 However, there are several safe ways that you can get money fast. 1. Rent out a room in your home. People are always looking for affordable accommodations, and you don't need to invest much more money than you already have in your house. This option can be especially lucrative if there is a college nearby, as students always needs housing. 2. Clean out your house. You may be able to get money fast by selling items you never use. Sell stuff on EBay or Craigslist and/or sell items for your neighbors who don't have the knowledge or time to sell online. For example, you could find a neighbor who is looking to get rid of their car and offer to list this car for sale on websites, for a fee. Many people don't know how to do this. 3. Consider taking up dog-walking and/or babysitting. These are simple services, and it's easy to find someone who needs them simply by talking to your circle of friends. A lot of people are working longer hours now and have less time to take care of their dogs or need someone to watch their kids until they get off work. If you like children or pets, this is the perfect way for you to get money fast. 4. Offer handyman help for neighbors, especially elderly ones. Many people have small fix-it jobs and would rather deal with a neighbor than go through the effort of finding a reliable contractor. Elderly neighbors often have tasks that it is hard for them to do themselves, such as mowing the lawn, or, in colder climates, shoveling the driveway. 5. Check if someone in your neighborhood has sold their house and is moving. Offer to help pack or move boxes. Ask for a moving day and be home; if they don't think they need help initially, but change their mind, they can ask you on the day. 6. To make money - save money. Start using coupons and shopping online before you go to the store. Online coupons can save you hundreds of dollars and get you free shipping on items that are cheaper online than in the store. It won't matter if you get money if you don't spend it wisely afterward. 7. Open a credit card with real cash back rewards. Some credit cards offer 5% cash back for gasoline. Don't forget to check the rewards on your current card. And, of course, be careful how you use the card. 8. Be a tutor. There are many ways to do it, including Skype. If you don't have skills in a particular subject, see if somebody wants to learn your language and needs conversation to practice. With many businesses operating internationally, it is increasingly important to know multiple languages, and there's no better way of practicing than conversation with a native speaker. 9. Check job websites for summer jobs. Many types of businesses need additional help over the summer months. There are also employment agencies that specialize in a type of arrangement where you can get paid at the end of the workday, so you can really get money fast rather than waiting weeks for a paycheck. 10. Post your profile on an online employment platform. There are platforms out there for any type of employment skills you have, and it can often be easier than submitting your portfolio to many businesses individually. If you are discerning in the platform you pick and highlight your best qualities, you often have a better chance of being hired than you would only submitting to local companies. Many jobs now can be done via telecommuting, so by using an online employment platform, you are able to apply to jobs that would be too far away to commute to. In conclusion, there are many ways to get money fast that don't require you to put your money at risk first.